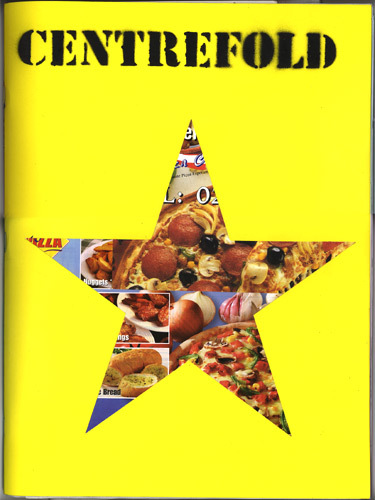 Centrefold Scrapbook is the first publication of Centrefold, created by Reza Aramesh and Tina Spear. 60 versions of the scrapbook have been made individually with original material supplied by invited artists. The artists are: Reza Aramesh, Sam Basu, Diann Bauer, Matt Bryans, Ellen Cantor, Henry Coleman, Sarah Emerson, Brian Griffiths, Nicole Licht-Urbanic, Goshka Macuga, Rupert Norfolk, Sally O'Reilly, John Russell, Tina Spear and Francis Upritchard. Plus Filiberto Skid is private viewing, Dallas Seitz features the beigel shop and for the centrefold of this issue a number of artists tell us what success means to them.